Governments cannot celebrate the UN World Habitat Day on 4 October while ignoring one billion people living in slums, Amnesty International said on October 5, 2010. “A couple of weeks ago in New York, governments promised to help 100 million living in slums. The problem is that more than a billion people live in slums. They don't have water, schools, sanitation, or health care,” said Widney Brown, Senior Director of International Law and Policy at Amnesty International. Mass forced evictions of people living in slums are being carried out around the world, with Roma communities evicted across Europe, slum dwellers in Delhi forcibly evicted to make way for the Commonwealth games and more than 200,000 people facing eviction in Port Harcourt, Nigeria. The recent Millennium Development Goal (MDG) Summit failed to call on governments to stop forced evictions, despite evidence that such evictions drive people further into poverty and undermine all the MDGs. It instead asked governments to 'reduce slum populations', raising fears that this could encourage more forced evictions. “From France to Zimbabwe to Cambodia, we have documented how governments are destroying homes of some of the poorest people in their countries. 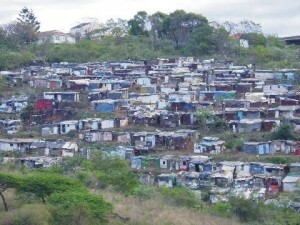 Those whose homes are destroyed are failed by the law, they get no compensation and no place to live,”said Widney Brown.